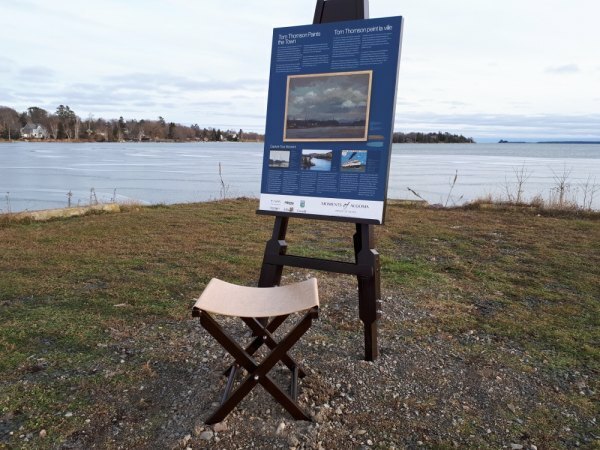 A new Moments of Algoma interpretive installation at the waterfront in Bruce Mines was set in place earlier this month. 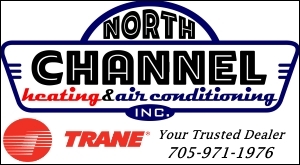 This is 1 of 4 additional installations, promoting the legacy of the famous Group of Seven paintings inspired by the landscape of Algoma. 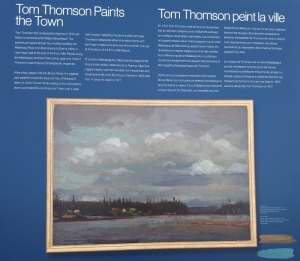 The Bruce Mines installation tells the interesting story of Thomson’s adventures during a visit to the area in 1912 and includes a replica of Thomson’s painting “View Over a Lake with Houses” which is believed to have been painted from the spot where the interpretive easel is located. 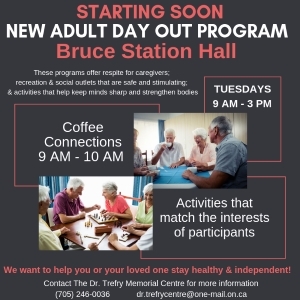 Moments of Algoma Group of Seven stops previously installed can be found at Aubrey Falls, Sault Ste. Marie, Chippewa Falls, and locations along Lake Superior. The Group of Seven installations provide tourist opportunities in the Algoma region. A new website is now live http://www.momentsofalgoma.com and tour packages are in the process of being developed. Plans are in the works for Highway 17 between Blind River and Nipigon to be designated a Group of Seven Driving Tour. Look for new signage along this route in the spring.